Amazon sellers are sick of Amazon sellers, it seems. Sellers are bemoaning the fact that other sellers dilute the Amazon experience, especially newbies or sellers from sites like eBay where expectations around selling practices are different. Some cite variations of the 80-20 rule: 20% of Amazon sellers contribute to 80% of the problems, some say. This can lead to poor experiences for buyers, which in turn harms quality sellers. For example, such sellers may lack knowledge of regulations, sales tax, and packaging requirements. In addition, sellers say they now have to fight for resources because poor-quality sellers gum up the system with their errors and poor practices. According to one complaint, the situation led Amazon to reduce salaried workers in the US and turn to customer service reps in lower-cost countries instead. Some complain about the difficulties they have with the catalog because sellers incorrectly create new listings or introduce errors into existing product pages. It's not just listing and selling practices that has self-described "good" sellers upset; some complain about poor product-sourcing leading to bad-quality products and counterfeit goods; some point to Alibaba and retail-arbitrage strategies promoted by what they characterize as get-rich-quick schemers as examples of bad sourcing strategies. Not surprisingly, sellers also complain that too many sellers on Amazon puts a downward pressure on price, making it hard for themselves to maintain margins and make sales. The solution, according to those who feel they're among the top sellers, is for Amazon to do a better job vetting sellers. Some have gone so far as to suggest Amazon cut loose the bottom echelon altogether. Do these complaints have merit, or is it sour grapes from those who just don't like competition? And if it's a bit of both, what would you recommend Amazon do, if anything? When I run across something a seller shouldn't be doing which is against the rules of ebay, I normally send them a polite email and let them know what could happen and leave it up to them to make the correction. I was a newbie at one time and other sellers gave me the help to succeed. It is my turn to pass it on. It's mostly sour grapes and Amazon is too lazy to resolve any actual issues. This is not sellers fault its Amazon's stupid catalogue system. Also, Amazon sellers are mean and unhelpful, so its no surprise they would attack each other and point fingers. I just started AZ FBA, and the very first thing I noticed is what a MESS the catalog is. One item I wanted to list had a minimum of 4 ASIN's for the same item/quantity. One of the ASIN's had a shipping weight of 10.3lb, when the item in question was just slightly over 1lb for a single. That shows me someone probably altered the listing from a mutliple quantity and either purposely/didn't bother/didn't know how to change the weight. I can't list with that ASIN since the shipping cost kills me in FBA fees. Another ASIN for the same item had a different UPC than was on the actual item I have in hand. Again, was this changed from a UPC the manufacturer themselves had for a multiple quantity? Some other reason? Purposely? I want to list on the ASIN that has the best ranking/sales, but that happens to be the one with the screwed up weight! Go figure. If AZ kept better track of duplications of items/UPC/etc, there would be fewer problems. sounds like ebay to me but worst - glad I don't sell there - I'll stick to the devil I know. I'm still doing ok on ebay. 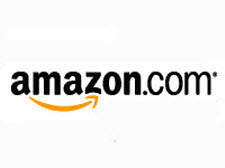 Not just amazon, but the billions of penny making wanna be sellers who care nothing for good service of respect to marketplace rules, BUT, unfortunately, that is NEVER going to change, but just get worst, the people who oversee and enforce the marketplace rules, are the very same cousins and brothers of the penny making so called "sellers". Just think, how many years and thousands of reports they have received by all of you, isn't it enough time to fix those things? But they won't, because those "disruptors" are doing a direct side business with the so called Policy Enforcing Teams. There are more scams inside eBay and Amazon teams, than they are from real sellers or customers together. Those thousands of repetitive technical issues that only affect a few (the random by IP trick) are not going to stop. If you have ever visited the Amazon seller forums you would know this. It is a TOXIC place to visit. Of course these folks want to limit competition. Makes their job easier. I don't buy much on Amazon but a package arrives from them for one of my kids almost every day. I ordered something several years ago from a '5-star' seller. Never got it and when I looked at their feedback, they hadn't shipped anyone's orders in 2-3 months. So much for Amazon's feedback system - likely they have 'fixed the glitch' by now though.